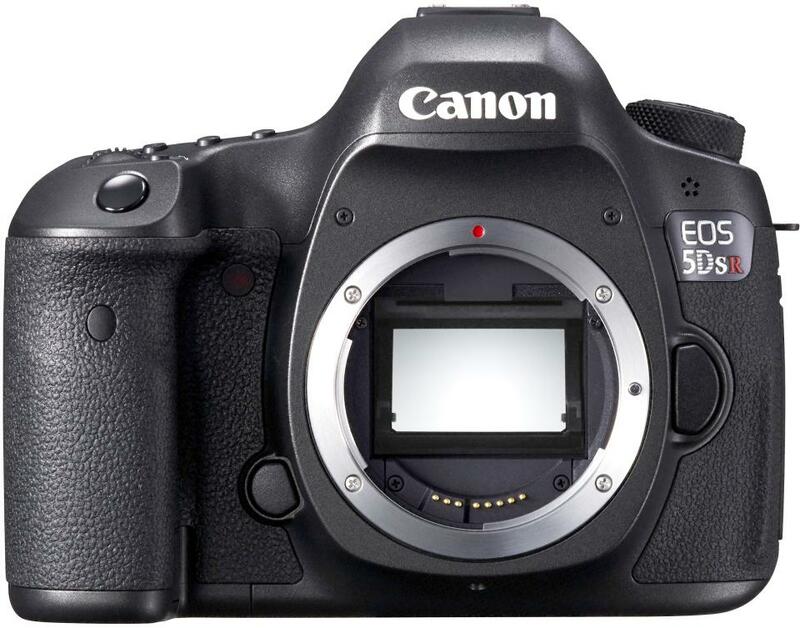 Almost three years since the release of Canon’s last full-frame cameras, the company has decided to make a huge splash with the release of the 50.6-megapixel EOS 5DS and EOS 5DS R DSLRs, the sole difference between the two models being the low-pass filter effect cancellation of the 5DS R. The incredibly high-resolution, full-frame sensors on these two cameras bring detail and color rendition, once only available with medium format systems, to the realm of EF-mount DSLRs. Also, the cameras utilize Dual DIGIC 6 Image Processors in order to quickly process the large amounts of data created by the sensor and to enable a variety of enhanced features. Alongside these cameras is another incredible release, the EF 11-24mm f/4L USM Lens, an ultra-wide angle L-series zoom lens designed to deliver the utmost in image quality. 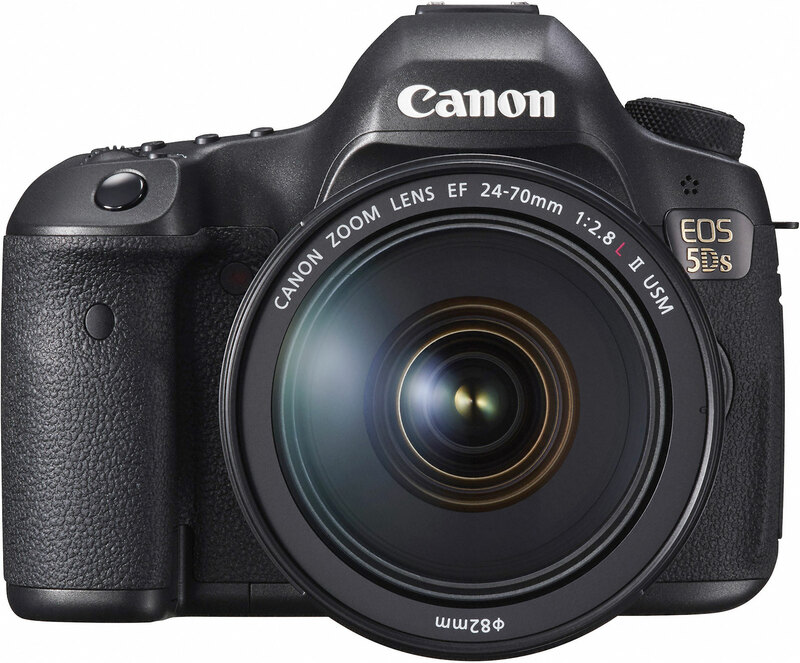 With a 50.6-megapixel CMOS sensor, the 5DS and 5DS R have just become the highest-resolution full-frame DSLR cameras on the market. Designed with the still photographer in mind, these cameras will deliver the absolute best in image quality with a variety of built-in features for photographers to take control of all aspects of their shooting. Where they differ is the 5DS R’s low-pass filter (LPF) effect cancellation that allows photographers to squeeze every last bit of resolution from the sensor. The only downside of this is the greater potential for moiré and other color artifacts. Otherwise, the EF-mount 5DS and 5DS R share the same features, including Dual DIGIC 6 Image Processors for handling the vast amounts of information produced during image capture and an ISO range of 100-6400, which can be expanded to 50 or 12800. To make the most of this resolution, extra precautions have been added to these cameras to ensure shooters will not have any issues. Most notably, this is seen in the introduction of an advanced mirror control mechanism and a user-selectable shutter-release delay that will dramatically limit the chances of camera shake affecting your images. The base plate and tripod socket have also been fortified to reduce vibrations and ensure a secure attachment to support systems. While many shoots may not require the highest resolutions, the added versatility of the extra pixels cannot be understated. 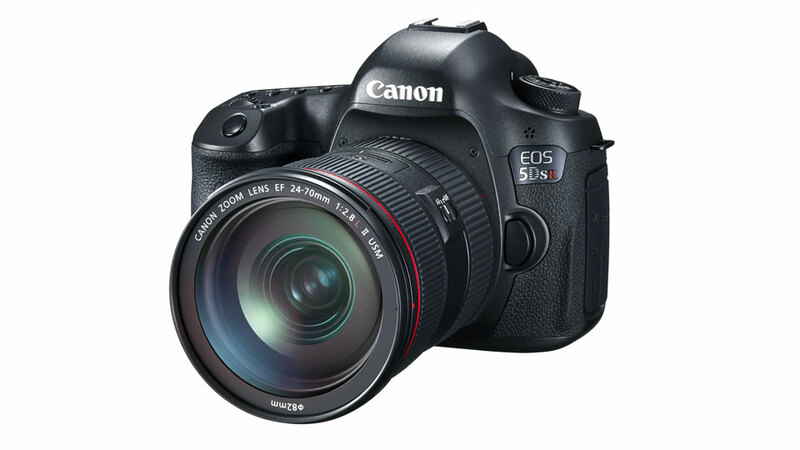 The 5DS series features 1.3x (30MP) and 1.6x (20MP) crop modes that allow photographers to effectively “zoom” into the scene while still producing high-resolution imagery. The selected crop will also show up in the optical viewfinder for more reliable composition of your images. M-RAW and S-RAW settings are supported for shooting images at 28MP and 12.4MP, respectively. Other features added to this model include a built-in intervalometer and bulb timer for advanced control over long exposure and interval shooting. Ensuring not just high resolution, but accurate exposures and focusing, the 5DS and 5DS R feature the EOS Scene Detection System with a 150,000-pixel RGB+IR Metering Sensor, as well as a 61-point High Density Reticular AF system, which includes 41-cross-type points. This system is extremely advanced, with Intelligent Tracking and Recognition (EOS iTR) which scans the scene and determines which autofocus points to use as a subject moves around the frame. Also, anti-flicker technology recognizes flickering light sources and compensates for reliable exposure and color during periods of shooting. And, this camera can maintain a continuous shooting rate of 5 fps, which is fast, considering the size of the 50.6-megapixel files. Two options are available for composing and reviewing images, including the optical Intelligent Viewfinder II with approximately 100% coverage and a 3.2″ ClearView II LCD monitor. The screen offers a wide 170° viewing angle, 1,040k-dot VGA resolution, reflection resistance through the use of a multi-coating, and high-transparency materials for bright, clear images. These models also have a customizable Quick Control Screen that lets you access frequently changed settings more easily. While primarily a stills camera, the 5DS and 5DS R have not forgotten about video, with the inclusion of full HD 1920 x 1080p recording at up to 30 fps. A Time Lapse Movie function has been added, which takes stills at set intervals and automatically combines them into a full HD movie file. The cameras also have a mini HDMI-out port for external monitors; nonetheless, the output is not suitable for external recording. A microphone jack for audio recording is available, but the camera is not equipped with a headphone jack. Saving all of these high-resolution images and movie files requires fast cards and excellent connectivity. These cameras have dual card slots, one CF and one SD, much like the previous 5D Mark III. Additionally, they implement USB 3.0 support for extremely fast image transfer from the camera to the computer. This will be most important for studio photographers who prefer to shoot tethered, ensuring little to no delay between taking the photograph and seeing it on the computer screen. Available as a body only, the EOS 5DS DSLR Camera and EOS 5DS R DSLR Camera are welcome additions to the full-frame EOS camera line and are sure to please many photographers seeking the ultimate in image resolution. Ultra-wide-angle lenses have seen a renaissance of sorts with numerous manufacturers updating and adding to their line. 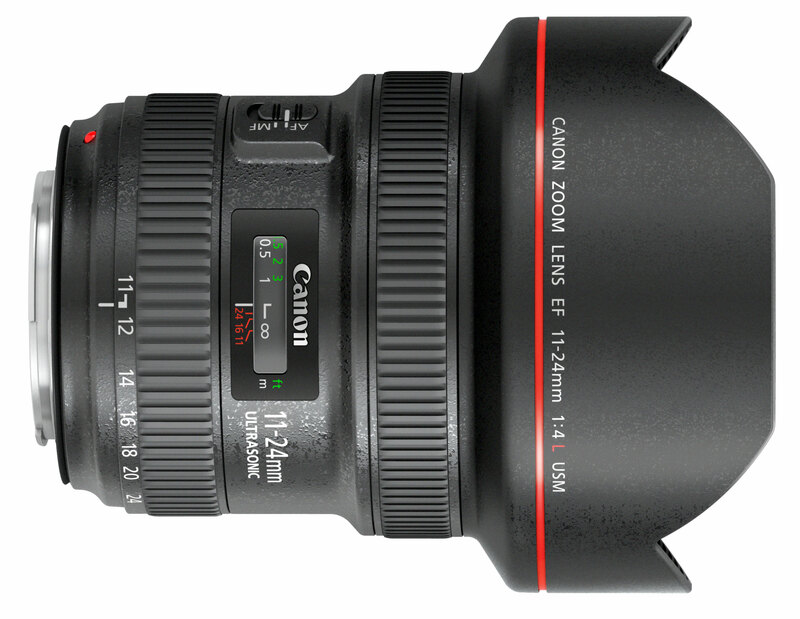 Just last year, Canon released a new 16-35mm lens and is now introducing the even wider EF 11-24mm f/4L USM Lens. The full-frame L-series lens has an impressive starting focal length of 11mm that will allow users to capture a seriously wide field of view. Also, the constant f/4 aperture guarantees consistent performance and light transmission throughout the zoom range. With such a dramatic angle of view, this lens will be very desirable for landscape and architectural photographers, and as such is designed to withstand the elements with a high resistance to dust and water. Also, the front and rear lens surfaces have a fluorine coating, which reduces the amount of smearing and fingerprints that can affect image quality. The optical design is, of course, the key component of any lens, and this one delivers with a variety of the latest and greatest technologies. It incorporates both a Super UD and a UD element to reduce chromatic aberrations, along with four aspheric elements to minimize distortion throughout the zoom range, something incredibly difficult and important at these focal lengths. Additionally, the 11-24mm features both a SubWavelength Coating (SWC) and an Air Sphere Coating (ASC) that will greatly reduce flare and ghosting. For general handling and operation, the lens has an internal focusing system with a ring ultrasonic motor (USM) as well as a high-speed CPU and optimized AF algorithms that provide fast, accurate, and quiet autofocusing. Manual focus is available at all times through the physical focusing ring and it has a minimum focusing distance of 11″, allowing photographers to work in cramped spaces without issue. 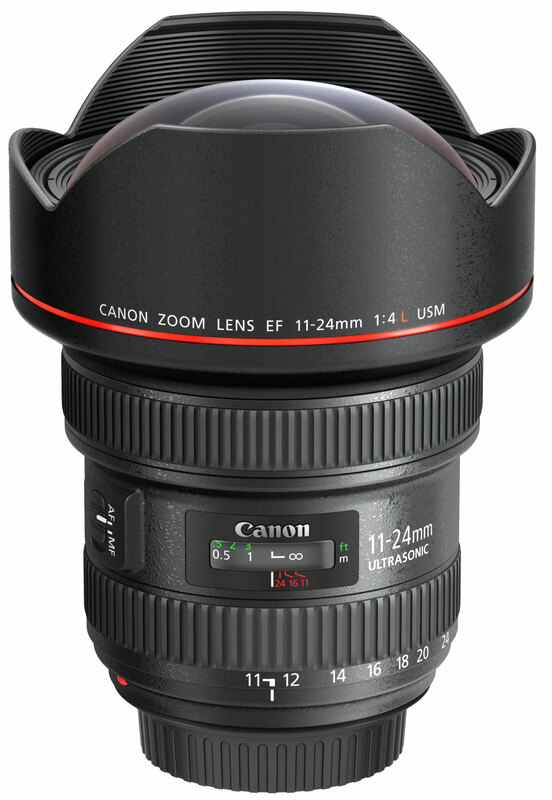 Its circular nine-blade aperture diaphragm helps to create soft, pleasing out-of-focus highlights. 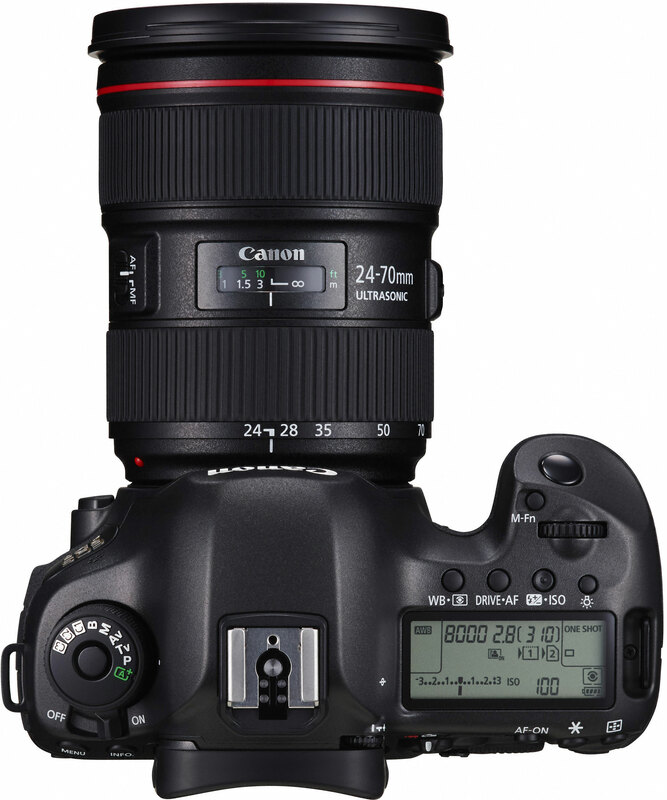 Of note is the physical design of the lens, which has a bulbous front element and a built-in lens hood. This hood reduces the chance of flaring from external light sources and offers a degree of protection against accidental impact. Also, the lens accepts rear-insert type filters since the front cannot accept standard threaded filters and it comes with a dedicated front lens cap and a storage case. Maximum Recording Time 29 min., 59 sec. Posted in ÁltalánosTagged 5 DS, 50 Megapixel, CanonBookmark the permalink.